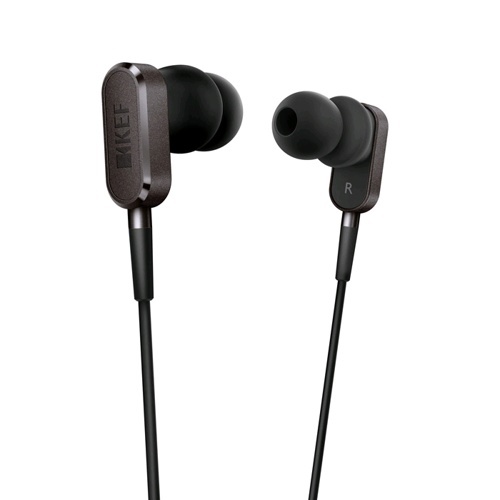 In line with KEF’s obsessive pursuit of ever-higher sonic resolution, M100 Hi-Fi earphones deliver a noticeably fuller, crisper and more accurate response, with each vocal or instrument clearly differentiated. With ingeniously damped full-range 10mm neodymium drivers and a unique angled chamber engineered to minimise distortion, the listening experience has the intensity and detail of hearing the original live performance. A masterpiece of KEF’s innovative acoustic engineering in miniature, M100 Hi-Fi earphones share the same design integrity and build quality as the rest of the M Series range. The aluminium ‘race-track’ casing is precision machined with diamond-cut chamfered edges, and the internal components are exhaustively tested for consistently accurate response. Nothing is overlooked, right down to the environmentally friendly new benzene-free production process - another KEF ‘first’. The shell is ergonomically angled for a snug, comfortable fit while preserving M100’s extraordinary clarity. Compatible with all Apple products and most other devices, and with industry standard protection against excessive sound pressure, you can enjoy true high resolution sound whenever, wherever and for as long as you wish.